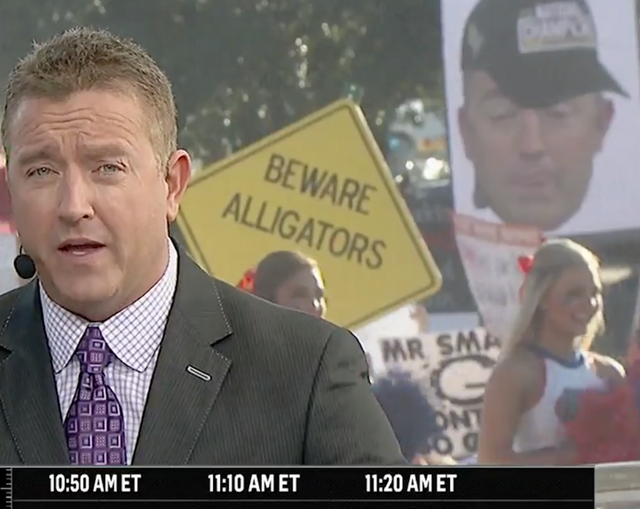 Everyone wants their sign seen on College Football Gameday, but unfortunately some people ended up putting effort into a sign they ended up having to alter. 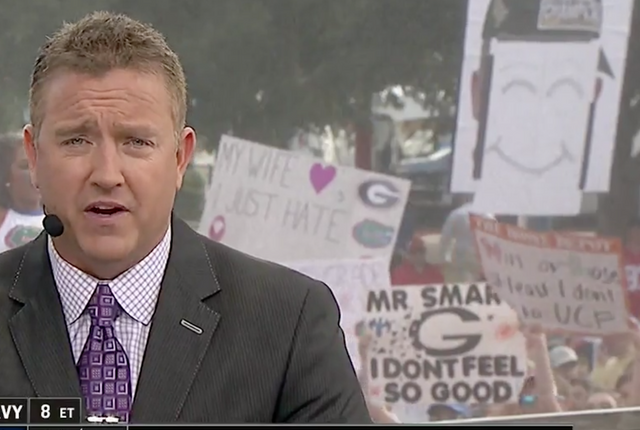 Some UCF fans weren't fond of certain things Gameday host Kirk Herbstreit had to say about their beloved Knights, in part that the team needs to play somebody in order to be rewarded and that other squads were more deserving when it comes to rankings. As you can imagine, that didn't sit well with the UCF-faithful and they came with signs in tow to show their displeasure. In certain shots you can see an unflattering Herbstreit face with a UCF national champs hat on, and because it was right behind the analyst, it got a lot of airtime. Shortly after, people began to notice that the sign had changed to a happy face instead. The people involved were told to change the sign or not to put it up again. Yes GameDay Staff requested we take it down. Either way, this won't bode well for Herbstreit's relationship with Knights fans.